If you’re dealing with untreated hearing loss, you’re more likely to have mental health concerns that likely increase your need for medical care, according to a recent study. impacts on a person’s health. The study, published in November 2018 in the Journal of Public Health, used data from a 2014 cross-sectional health survey in the U.K. to examine the relationship between hearing loss and use of health services and well-being. “There is emerging evidence of a relationship between hearing impairment (HI) and a range of outcomes related to cognition, depression and other aspects of mental health,” said Ciaran O’Neill of the Centre for Public Health at Queens University Belfast, who co-authored the study. He said he and his co-author, Grainne E. Crealey, wondered whether people with hearing loss sought out medical care more often than those without hearing loss. They also wanted to know whether hearing aids reduced the need for medical care, or at least mental health conditions that people might seek help for. The study wasn’t able to directly show if hearing loss increased the need for medical care. 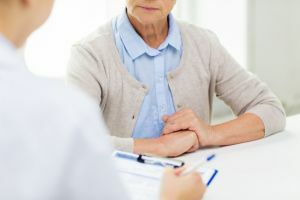 However, it did find that hearing loss was linked to problems with cognition, independency, mobility and memory, all of which can increase the need for health care. The study also wasn’t able to determine if hearing aids directly reduced the number of medical appointments, but it did find that hearing aids helped indirectly with cognition, memory and mental health. Hearing loss is associated with falls, psychological stress, mental health, depression, dementia and cognition, autonomy and social isolation. Other studies also have shown a link between hearing loss and increased use of health services. Hearing loss affects an estimated 16 percent in the U.S., 17 percent of adults in Britain, and 19 percent in Canada. O’Neill said that since the research in this area is still underway, he believes many people might not be aware of the connections between hearing loss and general health. This might make people less likely to use hearing aids properly, and less likely to understand the impact hearing loss has on their overall health and well-being, he said. Still, it’s tough to say exactly how much extra medical care is due to problems stemming from hearing loss. Previous studies have left out key details like levels of hearing loss, and some doctors’ visits might be from indirect causes like falls or cognitive decline. The pressures on primary care…may make it difficult for [general practitioners] to explore issues such as hearing impairment. In the study, respondents’ hearing levels were measured and categorized as good, mild to moderate hearing loss, moderate hearing loss, and moderate to severe hearing loss. Their cognitive abilities and mental health were measured as well. Over a two-week period, 1,426 of 8,073 respondents visited a doctor. Of that sample, 45 percent reported mental illness and their hearing loss levels were 17 percent slight, 5 percent moderate and 4 percent severe. The researchers had theorized that the use of health services and the presence of cognitive issues are in part related to the isolation and fatigue people with hearing issues feel because of their difficulty communicating with others. The study found an association with hearing loss and cognitive and memory issues, while also finding that wearing a hearing aid helps address those issues, as well as mental health issues, such as depression. This suggests that hearing aids and other treatments can help people in ways that extend beyond hearing. It wasn’t clear from the study, though, how widespread the use of hearing aids or other assistive technologies is in the U.K., or how available and affordable they are. It also wasn’t known in the study what percentage of study respondents wore hearing aids regularly over the two-week period. According to the National Institutes of Health, of U.S. adults age 70 and up who could benefit from hearing aids, fewer than 30 percent have ever used them. According to the authors, when issues related to hearing loss, such as cognition, are under-predicted, that use of health care may also be under-predicted. The study’s authors say the indirect as well as direct effects of hearing loss on health care need to be studied further. In the meantime, he said it’s important for policymakers and healthcare providers to be aware that untreated hearing loss can have a hidden-but-devastating effect on public health and healthcare systems. “We [also] would hope those who experience hearing loss—or those living with persons who experience hearing loss—are more alert to its potential effects and better able to make informed choices about seeking help,” he said. O’Neill’s research is part of a growing body of evidence that shows hearing loss has far-reaching impacts on a person’s health. If you’re worried about hearing loss, keep your hearing—and yourself—as healthy as possible by visiting a hearing healthcare professional for a baseline hearing evaluation. To find a hearing healthcare professional in your community, search our online directory of trusted hearing clinics.